Grant and Genny Guenther are the owners of Floor Your World Ltd. Their young family has been residing in Airdrie since 2006. 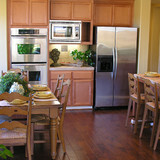 Grant is a second generation flooring installer and has over 15 years experience. He grew up working at his family owned flooring store in Ontario where gained a great reputation for quality work and became a certified flooring installer by the provincial government. Grant has built a solid reputation in Airdrie for high quality workmanship and customer satisfaction. What kinds of services do hardwood flooring installation professionals in Red Deer County, AB provide? 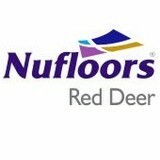 Find hardwood floor experts in Red Deer County, AB on Houzz. 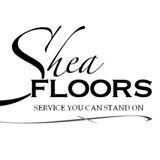 Search the Professionals section for Red Deer County, AB hardwood flooring installers and dealers or browse Red Deer County, AB photos of completed installations and look for the professional’s contact information.